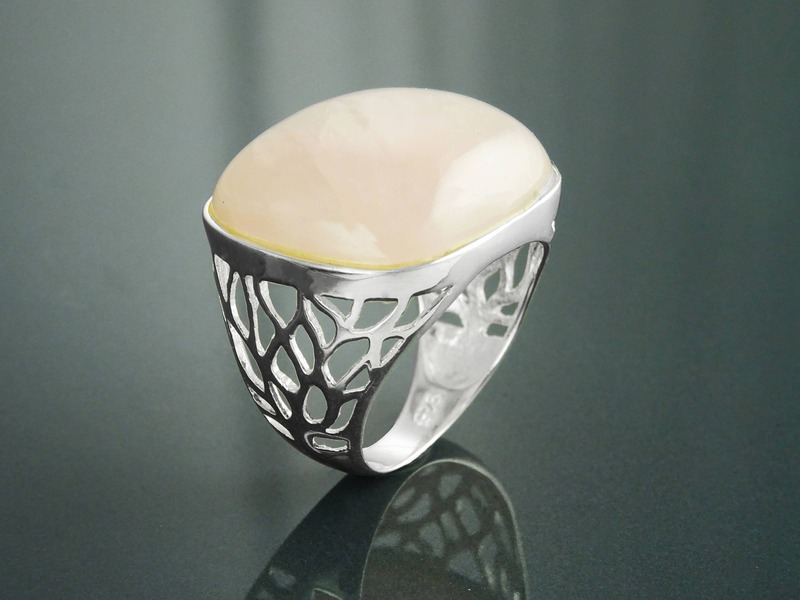 Dramatic Rose Quartz Ring. 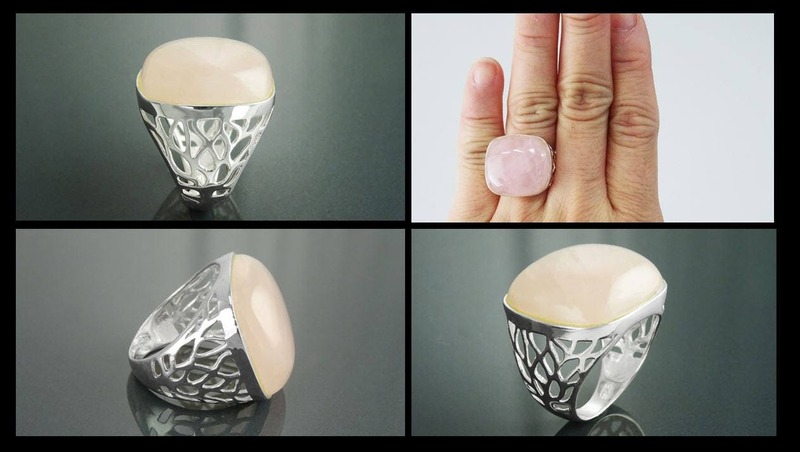 The ring features an intricate Modern Filigree setting around the Stone held in the center, which is a Real Rectangle-shaped Rose Quartz Gemstone in a Wonderful translucent Pink Color. 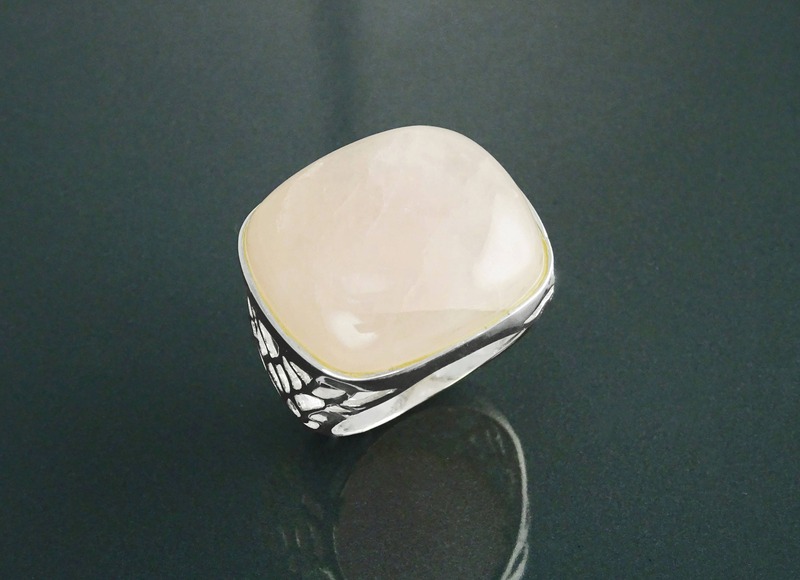 A Bit of a Modern Look with a Spirit. 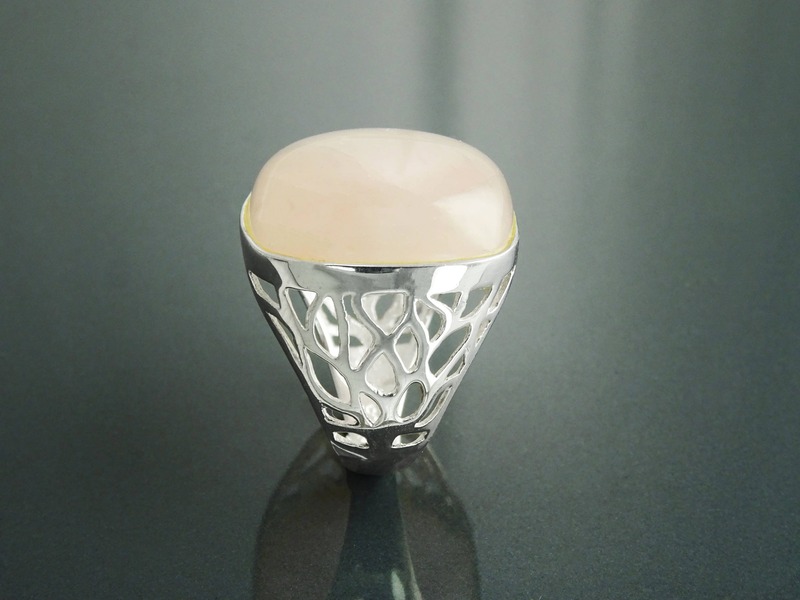 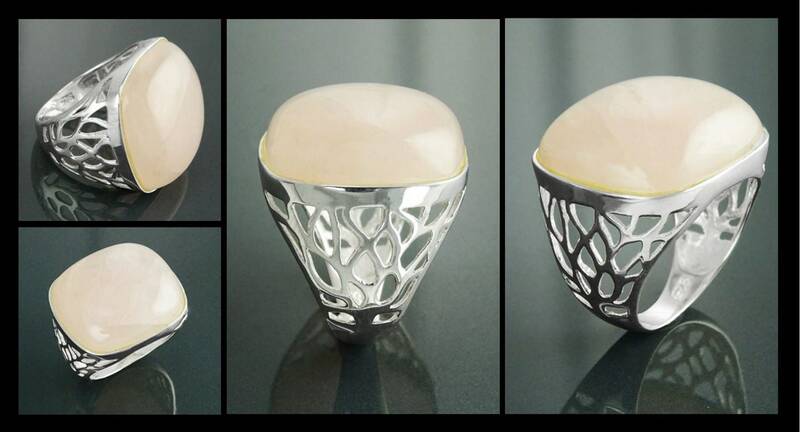 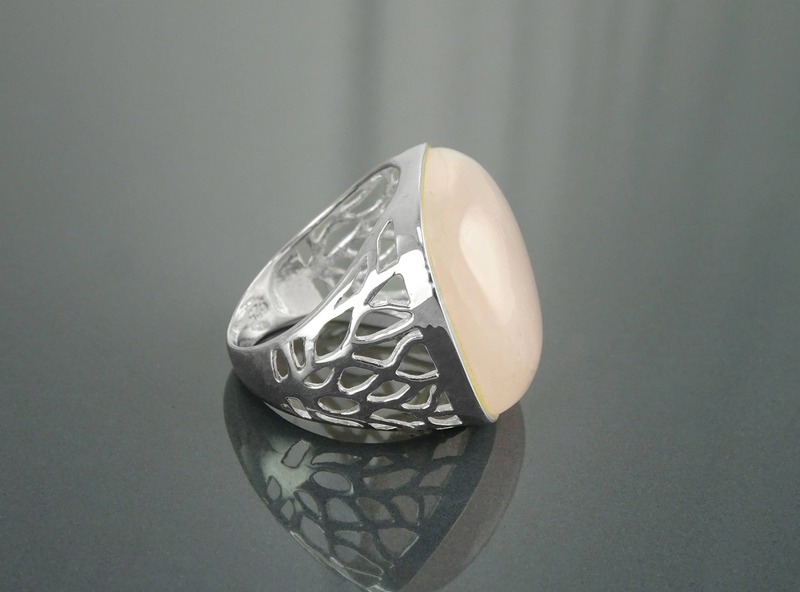 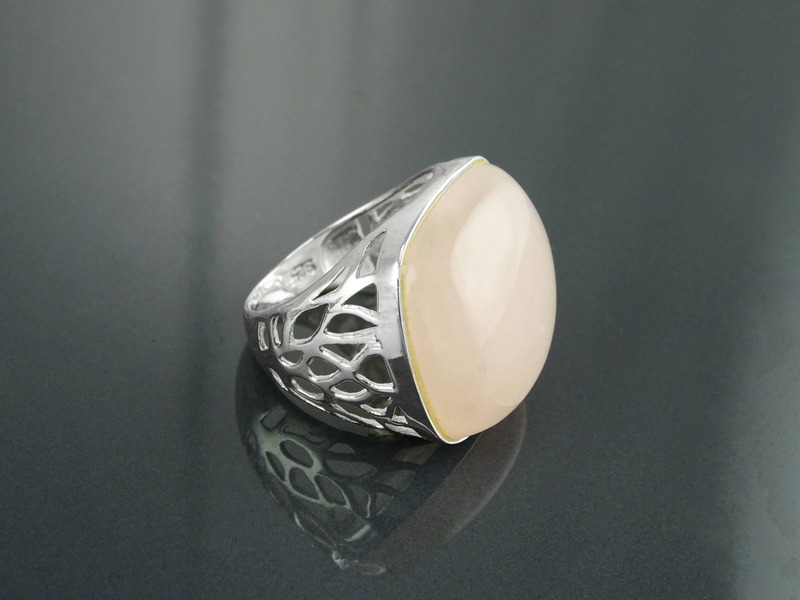 Ring features a 2.2 cm length and 1.8 cm wide Rose Quartz Cabochon. 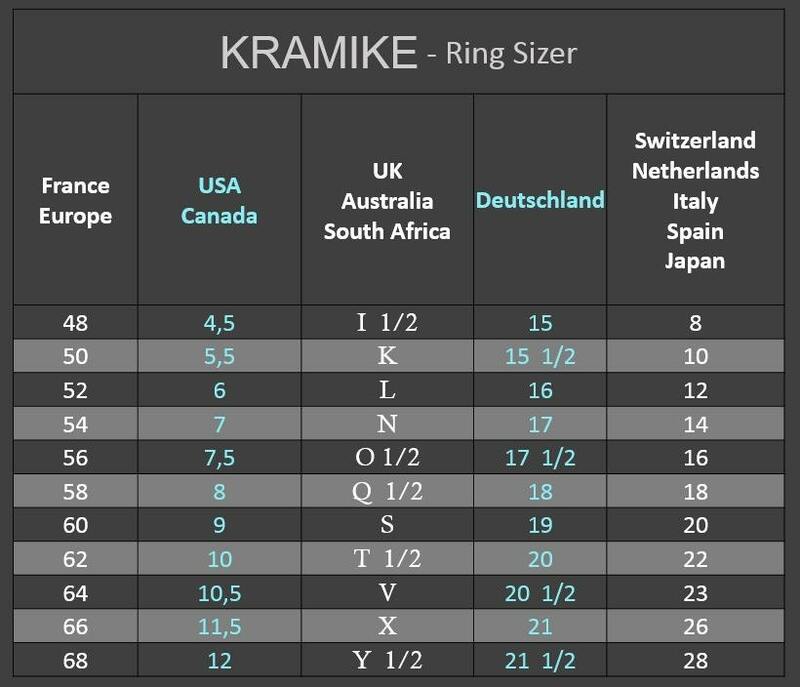 Average silver weight: 4.2 gr.